Two Chicago-area health systems may have a tough fight ahead when they argue in court this week that they should be allowed to merge despite the Federal Trade Commission's objections. 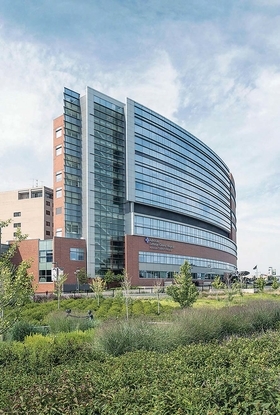 A hearing is scheduled to begin Wednesday in federal court in Chicago over the FTC's request to pause a merger between Advocate Health Care and NorthShore University HealthSystem. The FTC alleges the deal would create a system that controls more than 50% of general acute-care inpatient hospital services in Chicago's north suburbs, where the systems now operate competing hospitals. The systems, however, counter that the geographic area the FTC defines as their market doesn't account for all their competition. They also say they will create a new insurance product that will incentivize providers to keep patients healthy to avoid unnecessary inpatient services. That product will cost 10% less than the lowest-priced comparable product now available, they say. Experts predict the systems may face an uphill battle given a recent string of FTC victories. Jeff Miles, an antitrust expert with Ober Kaler, said the systems may be asked why they have to merge to create the new insurance product. Miles also said it's been a long time since a hospital system has won a case against the FTC based on arguments about geographic market. “The challenge for the merging parties is that you've got experienced antitrust enforcers on the other side who have a very well-developed methodology for how to evaluate these hospital mergers, and the courts have pretty much signed on to how the FTC and other enforcers ... believe that antitrust analysis should proceed,” said Matthew Cantor, a partner at Constantine Cannon.